Gone are the days of the English Super League and rugby union drawing the best out of the NRL. 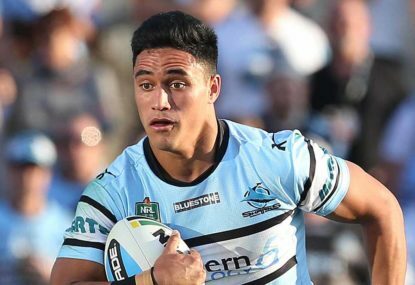 With Cowboys enforcer Jason Taumalolo and Sharks flyer Valentine Holmes testing their abilities in America’s National Football League (NFL), rugby league faces a new threat. Jason Taumalolo is one of the biggest forwards in the sport, with the mobility of an outside-back. 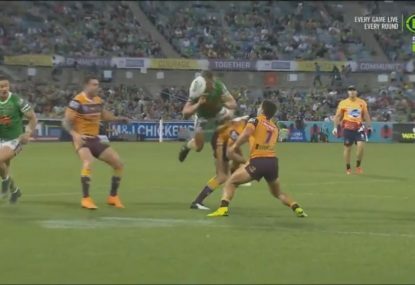 Playing on the edge of the ruck has allowed the 23-year-old to reinvigorate what it takes to be a lock-forward and bring fear to opposition defenders. 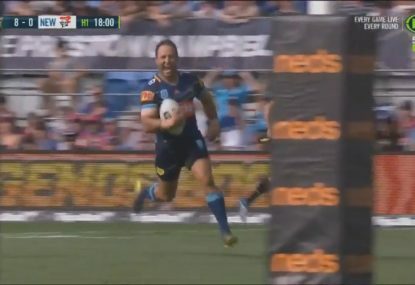 The way he cannon balls his way into the in-goal has resulted in many victories for North Queensland and New Zealand. Not to mention his hard hitting power in taking hit-ups and his concentrated assault in defence. This is one name the NRL can build around for many years to come. 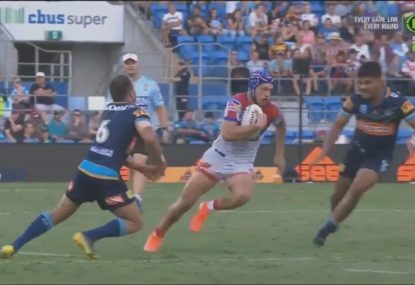 As for the Sharks youngster, I had the pleasure of watching Valentine Holmes’ final game in the Under-20s competition against the Panthers two years ago, and have never seen a player with more control on a game at junior level. Holmes possesses the ability to mesmerise opposite numbers, with a darting sidestep and speed. His appearance in the Four Nations tournament this year is evidence of this – a final try against England showed how he has grown as an athlete. 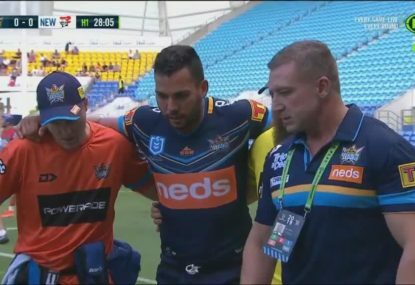 His status as a first-choice Australian winger and an expected berth with Queensland next year should solidify his place within the NRL. Looking at these credentials, it is easy to see how the NFL could benefit from having both Taumalolo and Holmes in their ranks. However, chances are neither of them will be picked up by an American football franchise. Would that mean a stint in European or Asian rugby union is an option? 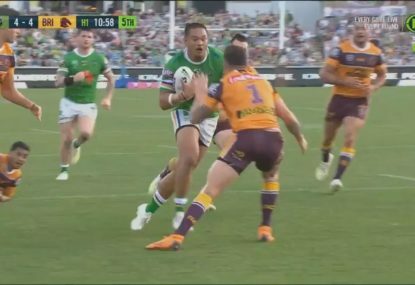 The Canberra centre had two tries in 3 minutes. Raiders fell for the massive dummy.